EORTC Headquarters, a unique international clinical research infrastructure, are based in Brussels, Belgium, from where its various activities are coordinated and run. 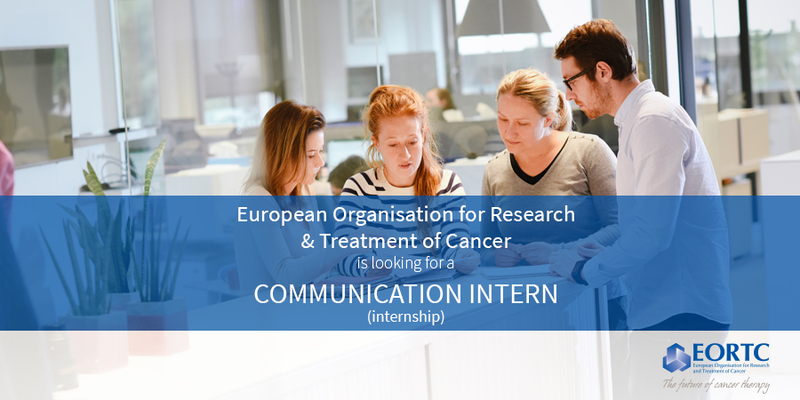 The EORTC is looking for a multi-skilled and proactive student with a keen interest in cancer research for a period of minimum three months (more is better) which will help the Communication Office. A nice, fun and dynamic communication team of five people is looking for an intern that will complete their team to help them in their day-to-day work but also with their various projects.